Here are just some of the applications where the MISU screening rotor concept has proven successful in the screening and mixing of materials. Screening down green garden/vegetable waste to blend for soil conditioners and mulches. Pipe back filling for residential estate, telecommunications channels, water mains and gas pipes. Screening of manure for breaking down and drying of cattle and chicken manure for resale. 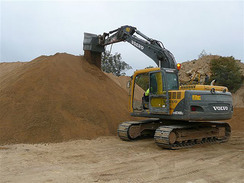 Screening/crushing of lime and gypsum deposits. Mixing flowers/soil and mulch/soil for garden conditioning. Breaking down bark for garden landscaping and meeting playground specifications. Screening down mudstone for road surfacing. Breaking down salt deposits prior to loading. 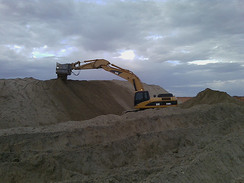 Screening down tailings material for paste plant mixing and pumping underground. Screening of anode blocks for lumina material recovery. 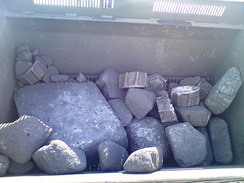 Breaking down granite materials for roadbase purposes. 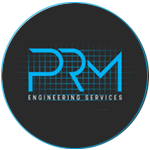 Our screening units are built to stand up to the toughest challenges and have been constructed with this in mind. MISU screens are well tested at many locations throughout Australia and the world, in varying conditions and many different applications.